The decorative nature of the Groove trivets invite them to be displayed on the table even when not being used during serving. 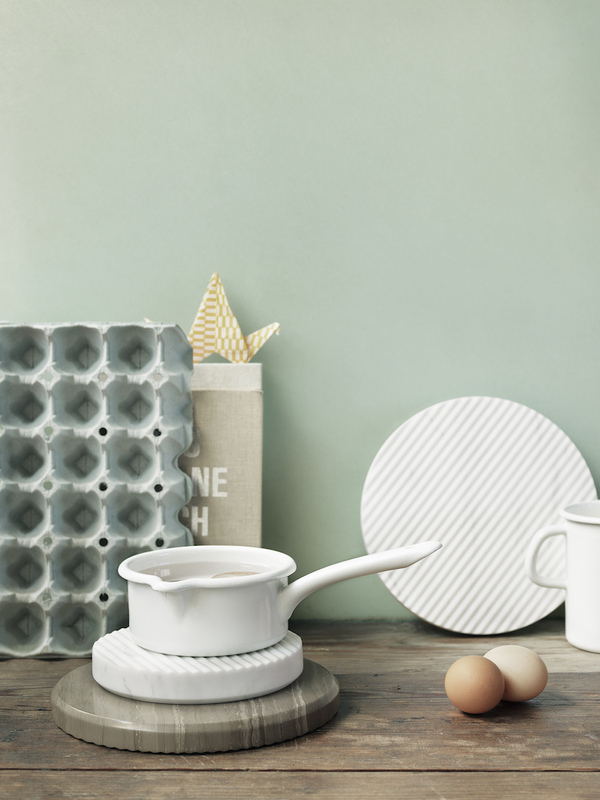 Cut from solid marble, the carefully carved grooves in the trivets allow air to flow under the trivet and the hot pan, preventing the trivets from getting too hot. The naturally occurring patterns in the raw marble endow each Groove with its own unique look, making it a distinctly individual design piece.